jen's ancestors – Page 33 – Where I share research on my Shepard and John lines. 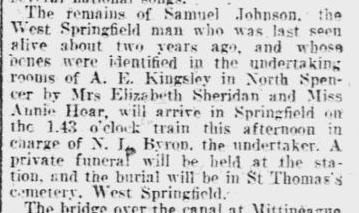 A little while ago I mentioned that I had probably found Almyra Johnson’s brother Samuel Johnson and his family had moved to West Springfield. Well this is Almyra’s nephew. Samuel Johnson, Junior. I think the articles below tell the story. He doesn’t appear to have been murdered, just died by misadventure. I have entered the newspaper articles in order of publication, which is in November of 1909. 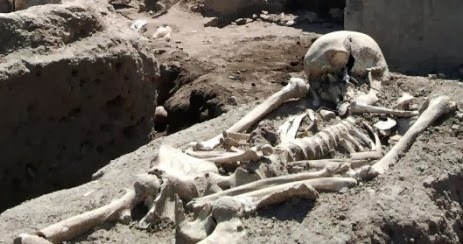 No this isn’t the actual skeleton, just a pic of one to enhance the mood. Hanged till thou be Dead.. It is again my favorite month of the year, and not just because I was born on All Hallows Eve. This month I have decided to focus on the more macabre of our family stories. Today’s is all about murder and ‘justice’. The first major war to occur in the New World involving the European’s was King Philip’s War of 1675-1678. 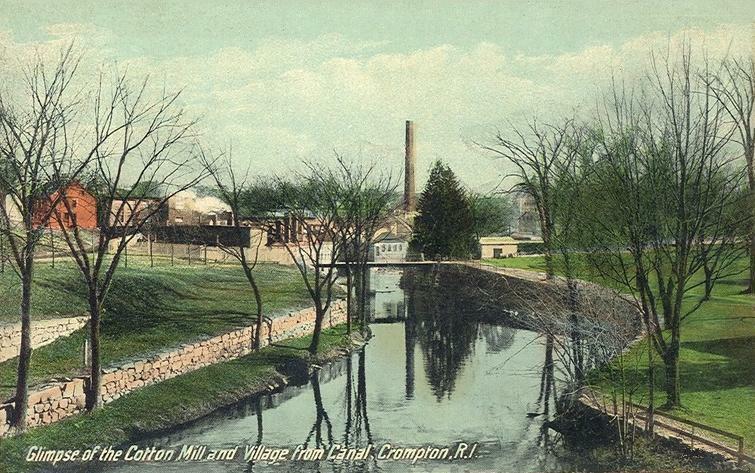 It was named after the American Indian Metacomet, who was also known as King Philip. I won’t go into the details of the war, those can be read in any history book. Let’s just say relations between the New Englanders and the local tribes had gotten bad and war was the result. These two squaws and their company aforementioned, being allowed (in this time of their straits for food) by the English authority, went forth to gather hurtleberries, as a place called Hurtleberry Hill, about four miles from Watertown Mill, within the bounds of that town; were the English, who were about eleven or twelve in number, and were on horseback, first met those indians. There was one Indian man with them called John Stoolemester, one that had been bred with the English; they disarmed him of a carbine belonging to the county, for he was newly come in from the army, and had not been delivered his arms. After they had disarmed this fellow, they threatened to kill him; but he, speaking english interceded strongly for his life, and so they dismissed him, and he came home; but the squaws being among the bushes not far off, he left them there; the english came to them and sat down, and smok’d[sp] it where they were, and exchanged with them bread and cheese for some hurtleberries; and then the English left the squaws and children, but being not gone a mile, four of the English left their company and went back to the squaws, and drove them before them unto the north end of the hill, into a secret place, and there murdered them all, and stript[sp] such as had coats on. Having committed the murder, these men went to their habitations. The next day after the squaws were missing, and came not home to their wigwams, Capt. Pitimee, being then at home, came to Major Gookin at Cambridge and acquainted him with his fears, that some evil had befallen his wife, sister and their company, and desired an order and some help of Englishmen, two or three as least, to go and search for them; which being so reasonable a request, it was granted. So he went forth and searched a day or two, but could not find them; as last, having procured about fifteen or sixteen Indians, and two english, they made a more strict search, and at last found the dead bodies, not far from one another, cruelly murdered, some shot through, others their brains beat out with hatchets; to be short, this murder was afterward discovered, and the four murders seized, tried, and condemned, and two of the four executed, and the other two pardoned by the General Court. This murder was very much decried by all good men, and it was some satisfaction that some of them were make examples. I know the murderers pretended a law to warrant the act, but the juries and judge were not of their mind in the matter. I know, also, there are some among the English that have a very ill conceit of all the Indians, and will not admit them so much charity, as to think that any of them are sober or honest. Wartime situations can bring out the best and worse in humans beings. In this case I believe the worst showed its face in actions of one of my ancestors as two of the four men were relatives of mine. Daniel and Stephen Goble of Concord, Middlesex County, Massachusetts were two of the perpetrators of this atrocity. Daniel is my 8xgreat grandfather. Stephen was his nephew. 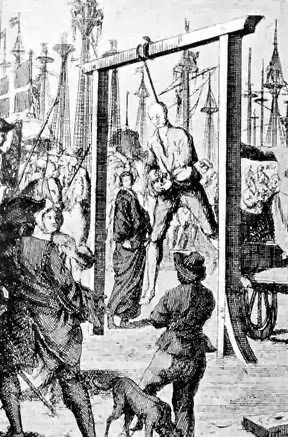 A week later Daniel, too ill to walk, was drawn upon a cart to the place of execution and hanged in the company of five Indians. During the trial of the four men, two of them got off because their families had money and influence. Our ancestral relatives were not so blessed. I have to say that I can not be sorry that they were punished for their actions. They committed murder and should have been punished for it. What is unfortunate is that the other two got away. 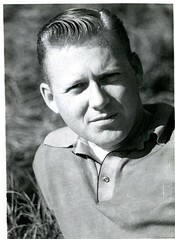 Daniel’s son Daniel, jr inherited land his father was awarded for his service in the war. He sold it off. His mother Hannah had married again so forfeited her inheritance of the property. She moved to Lancaster Massachusetts. In an unfortunate twist of fate, Hannah and her second husband Ephraim Roper were killed by Indians about 20 years later. 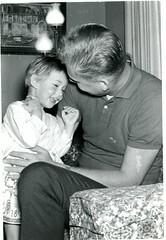 I just realized this morning that I am researching two different Johnson families, one on both sides of the family tree. Totally unrelated of course. Hmmm, or are they? Well back to the good things. During my recent research binge on Carrie Amundson’s mother’s side of the family, I saw a database of Minnesota County marriages listed at the FHL site of online digital images, and decided to check it out. In a shoulder shrugging ‘what the heck’ moment I decided to type in Amund Amundson and Kari Jorgina Johnsons names. I had already contacted the Goodhue County register of deeds office years ago for a record and they told me there wasn’t one. Imagine my shock when there it, was for all the world to see. 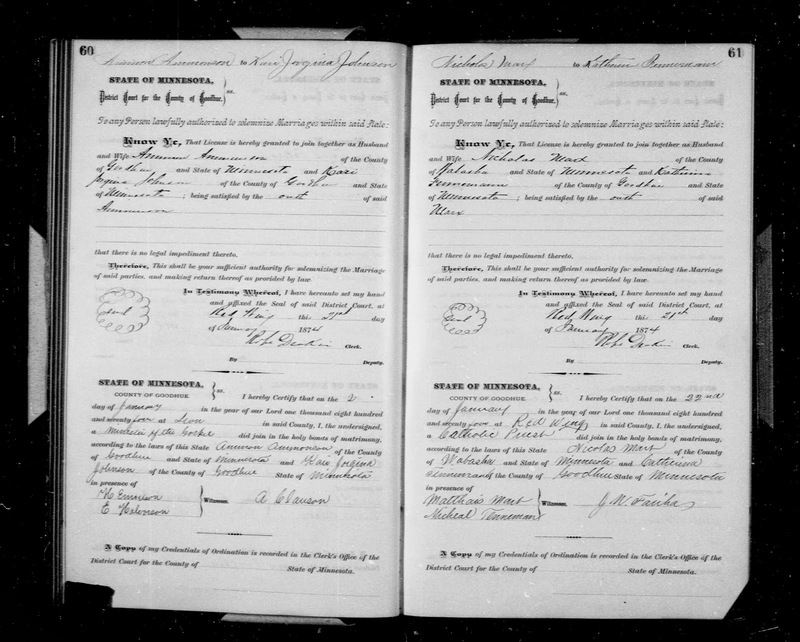 A marriage record in Goodhue County for Ammund Amunndson and Kari Jorgina Johnson. Married January 2, 1874 in Lyon, Goodhue County, Minnesota. No parents names listed of course. That would make things too easy. I will place no blame, nor make no accusations. I am just happy to have found it. It all started with a gentleman from Australia, or I should say it all started with an email from a gentleman from Australia. He was contacting me regarding a mtDNA match with one of my mtDNA accounts at FamilyTreeDNA, and as I have many accounts with FamilyTreeDNA I first had to find out which one he was matching. So I responded. A day later he informed me the match was with Victor John’s maternal line, this would be Myrtle Hamm. The match is only in Region 1 which means our common ancestress would be very far back in time. His mother’s line is English so any connection would probably have to do with the Nordic folks invading England, because Myrtle’s maternal line is 100% Norwegian. I have to confess I haven’t done as much Norwegian research as I should have because well, the records that are available are in Norwegian, the websites that have the records are in Norwegian, and having no experience with Norwegian in any way, shape, or form, I’m afraid I felt a bit intimidated by the research. But that’s ended now. I decided I needed to buckle down and try again. Maybe things have changed in last few years. From past experience I am familiar with two sources for Norwegian research. One is the FHL, the other is http://arkivverket.no/Digitalarkivet, a Norwegian website that I have tried in the past. So I started with the FHL. They have very few online digital records for Norway, but the ones that they do have include births, christenings, marriages, deaths. So I started with births hoping to find Kari Jorgina Johnson’s birth record. From the many census records I have found for Kari I knew the month she was born and the year. I also know her parents names from her death record at the asylum. Although we couldn’t quite read the father’s surname. We came up with John Staneson. I found a record for a Kari Jorgina Johnsdtr born May 31, 1838 and baptized June, 1838. Her parents names were John Stianson and Kari Gunlichsdtr. Kari Jorgina Johnsdtr baptismal record. Click on images for larger size to see details. Kari’s death information indicated her mother’s name was Kari Johnson. It is quite possible that information is incorrect. So if I have indeed found her baptismal record, further research on her parents has taken me in to the 1760s with her parents, parents births, marriages, etc. I have even found family in the 1801 and 1865 Norwegian census. I am inclined to believe that the above baptismal record is true. Here’s why. In looking for all the siblings for Kari, I found a brother named Gunlech. He is said, by another researcher of this same family, to have emigrated to Minnesota in 1869, in fact I believe I found him in a census record in the same county Kari shows up in, in 1875, married to Amund, with their daughter Amelia Christine. In fact I think I even found her parents in 1875. There is also a cemetery index record for Gunlech that includes the information that he emigrated in 1869 from Aase, Tordal, Drangedal, Telemark, Norway. By the way, that is where the family is from. John Stianson and Kari were using the farm name of Aase as their surname in the census record. So you can see my hesitation in doing Norwegian research, all those name changes with each generation, using farm names, not using farm names. It can lead to much hair pulling and teeth nashing. 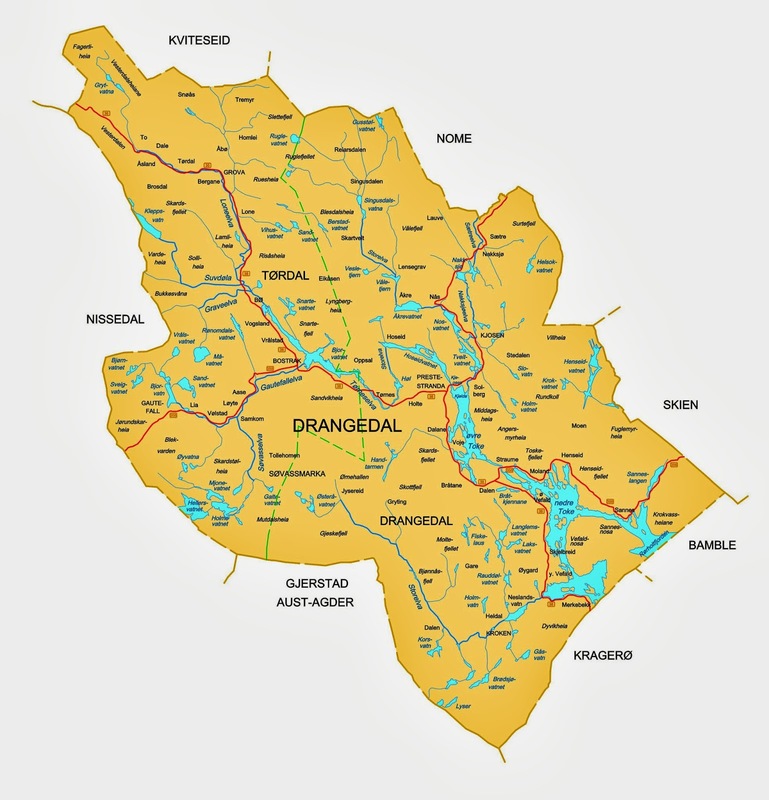 Here is a map found at Wikipedia of the area of Drangedal where Tordal, Aase is located in Telemark. Click on images for larger size to see details. The evidence appears to be pretty convincing. I am hoping now to find a ship record for the members of the family. That might help to make the connection. I also need to look at church records in Goodhue County, Minnesota again, now that I have a better idea of what I am looking for. This is all very exciting for me. 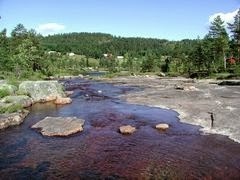 Now I am getting all nostalgic for Norway. If only I could get the same break on Amund. Guess I will have to keep digging. A picture in Tordal, to get a general idea of the landscape. I mentioned a few months ago that I was doing an upgrade to Dad’s DNA tests, as FamilyTreeDNA was having a sale. Well I finally got the results last weekend. I waited until Labor Day weekend to share them with Dad as we were going to be there for a visit. The upgraded tests were for his mtDNA, being Myrtle’s female line, and the Family Finder test. The Family Finder test finds cousins in the FamilyTreeDNA database and your percentage of ethnicity. In mine and grandpa Shepard’s Family Finder results we carry the DNA that shows us to be 100% European. Imagine my surprise, when Dad’s showed up with 5% Palestinian, Jewish, Druze, and Bedouin. I should correct that to be surprised, but not surprised. I imagine that the JOHN DNA is what carries these characteristics, as the ancient JOHN yDNA has its origins in the Middle East glancing into Asia. The reason none of this DNA showed up in me is all about chaos. My burning question now is which side do I choose? There are some names in genealogical research that are hair-pulling nightmares. Johnson is one of them. As is Smith, John, Brooks all of which we are blessed with. In this case I am researching Almyra Johnson, who married John Brooks, and her parents Samuel and Catherine in Albany, New York. I have had no luck whatsoever in finding any of Almyra’s family in Albany County. I have tried many databases in some cases many times over, and had zero luck over the years. So I decided to try a new tact. Directories. My first thought in my new line of research was why did the Brooks family move to Vermont in the 1850s. What was the draw? Did Almyra have family there? So I proceeded to check the Albany directories first just in case Samuel and Catherine show up. Needless to say it was a fruitless endeavor, as I can’t tell if any Samuel or Catherine listed is actually related to Almyra because none of the addresses appeared to clear the matter up. So I moved my efforts to Burlington, Vermont directories. As I have already done the research on the Brooks in the directories in Vermont, I was comparing any Johnsons found to the same address or close. I hit pay dirt. I found a Samuel Johnson living at the same address as Almyra and John. A check of the census records about the same time period told me that this was most likely a brother of Almyras, due to his age in the census record. 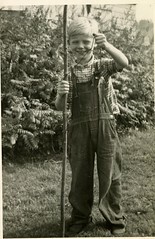 Samuel, jr worked with the railroad in town and there are a couple of other Johnsons working at the same railroad company living in Burlington, but at different addresses. Most likely all related. I have not found her parents yet, but the research is still young and I don’t have access to some of the records I need to continue with the leads. Just another item to put on the SLC research list. 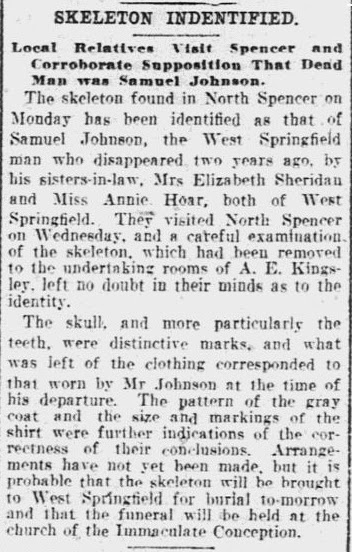 I continued to research Samuel and his family in the hopes of finding something else of interest or a more tangible link, but so far nothing has turned up. It appears that he moved his family to Springfield, Massachusetts. Just a few miles down the road from our Shepard ancestors. They pretty much stayed there until they died. It was a nice feeling to finally find some family for Almyra, hopefully future research will complete the picture for her. I was just sitting at my computer yesterday doing a little research on some Goble’s for a future post, when I had this sudden urge to look at Rhode Island records at the Family History Library web site. It had been a while since I had done any research on the Cain’s so I thought I would see if there were any new digitized records I could look through. They don’t have a lot of digitized records for Rhode Island, but they do have a few important ones, births, marriages, deaths, and Rhode Island State census records, (different from Federal census records). I started with the death records, maybe, just maybe I will finally find a death record for Martin Cain. The results showed me several records I was already familiar with, two of them being Martin and Winifred’s children who died as infants. Then I saw a curious entry for a Annie Laura Mcdonnell in 1914, husband Terrence, father Martin Kane, mother Winifred Kane. Hmmmmmmm. Stick a pin in that. I still didn’t find a death record for Martin. Okay no Martin, where is that pin….oh there it is…so I clicked on it. The record was really just an index entry and it didn’t tell me much more than the search hit did. So I went to my Reunion genealogy file to check and see if Martin and Winifred had a child named Annie. According to my records they had an Ann/Amy (from census records) born about 1859. The death record was off on her birth year, which didn’t faze me one bit. I proceeded to do a little happy jig. I found one of John Cain’s sisters. Now the hunt really began. There proceeded a flurry of computer research activity into birth, marriage and census records from several online database companies. The end result being Ann/Annie Laura Cain Mcdonnell/Mcdonald married Terence in 1884 in Providence, Providence, Rhode Island. They proceeded to have 7 children between 1884 and 1899. In fact the last child born was Annie on October 30/31, 1898, a day or two after her first cousin once removed, Clarence John. Only 4 of their children made it to adulthood. But that’s not all. The big news from this find was a 1900 census record in Providence for Annie and her family….and her father Martin Kane! Now I could do a full on happy, happy, joy, joy dance. I found Martin in 1900, in Providence, living with his daughter. That’s why you research ancestors other than your direct lines. Sad to say I still don’t know when Martin died. But I know he was still around in 1900. When looking at the 1905 census record for Annie and her husband, she indicated she was born in Crompton, West Warwick, Rhode Island. Slightly different than data I had, but it prompted me to see if there was a Crompton in Rhode Island. There is, it was named after a man who invented some type of textile device having to do with corduroy. In fact there was a mill in the town that made it. So it is quite possible that this is one of the mills that Martin was working in when he and Winifred were married. A short while ago I was perusing my flickr site to refresh my memory of the pictures I had uploaded a few years ago. 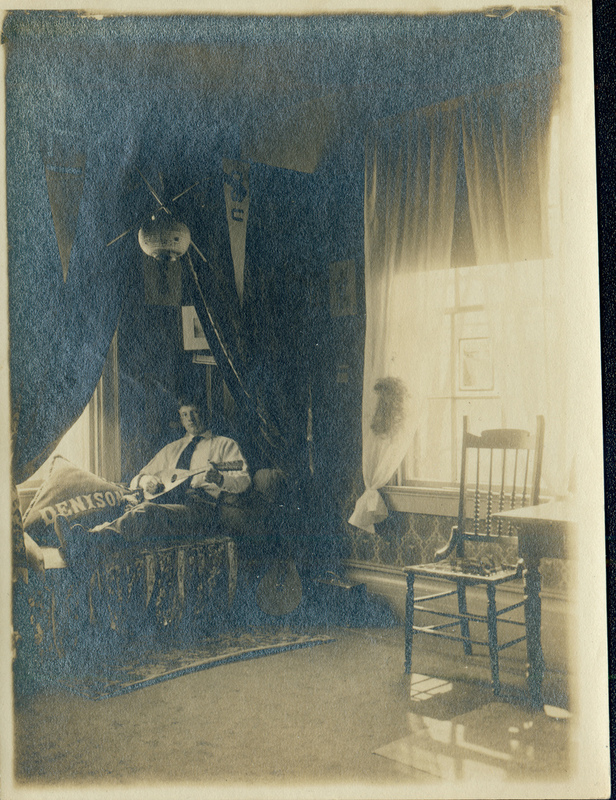 I ran across a picture of a gentleman sitting in what looked like a college student’s bedroom. Herbert Hatch strumming a musical instrument. There was a school pennant hanging from the bed canopy and the word Denison on a pillow. I was pretty sure that the image was from our Hatch side of the family, so I checked online for a Denison College in Ohio, assuming of course that that is where the Hatch family member would have gone to college. There is a Denison College in Ohio. So I contacted the archivist there to see if they might have information on which Hatch son, Herbert or Harry, was in the picture. FamilyTreeDNA is currently having a big sale on its test upgrades, so I have bit the wallet and upgraded Dad’s sample to add the mtDNA Test for Myrtle’s maternal side and a FamilyFinder test which will show cousins and % of ethnicity. Doing the Family Finder test for Grandfather Shepard showed us no American Indian ancestry,( as many family fables love to brag). Will share the results as soon as I get them. A short post in honor of our many Revolutionary War ancestors. Below is a picture from William Shepard’s entry at Wikipedia, a painting in which he is included. Although at this time I am not sure which one is him. 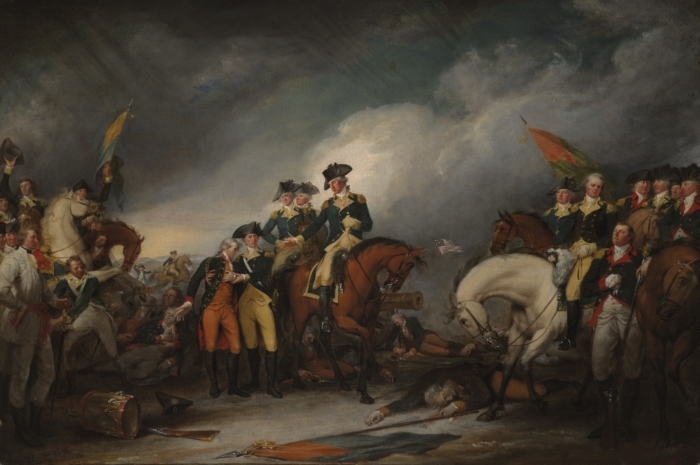 Col. William Shepard was at the Battle of Trenton, N.J. with George Washington, and his likeness appears in the painting Capture of the Hessians at Trenton, by John Trumbull at the Yale Univ. Gallery of Art, Chapel St., New Haven.